We write on behalf of the Middle East Studies Association (MESA) of North America and its Committee on Academic Freedom to express our dismay concerning the detention of students at Boğaziçi University for engaging in peaceful protest, as well as the subsequent comments by Turkish President Recep Tayyip Erdoğan describing the students as “terrorists” and promising to have them expelled. MESA was founded in 1966 to promote scholarship and teaching on the Middle East and North Africa. The preeminent organization in the field, the Association publishes the International Journal of Middle East Studies and has nearly 2500 members worldwide. MESA is committed to ensuring academic freedom and freedom of expression, both within the region and in connection with the study of the region in North America and elsewhere. On 19 March 2018, the Islamic Studies student club opened a stand at Boğaziçi University and started to hand out Turkish delights dubbed “Afrin delight” to celebrate Turkey’s military victory against the Kurdish-controlled city of Afrin in Northern Syria. Following a counter-protest by a group of anti-war students carrying a banner that read, “There is no delight in occupation and massacre,” a quarrel broke out between the two groups. Following the incident, Boğaziçi’s Rectorate and the Higher Education Council issued statements denouncing the anti-war students. The Rectorate’s statement, which opened with the sentence “Like all patriots, we view the attack on the booth as unacceptable,” condemned the anti-war students for having been “disrespectful towards the Turkish military’s martyrs.” In the end, a total of 15 students were detained. On 22 March, after the youth branch of the ruling Justice and Development Party (AKP) held a protest at the university calling the anti-war students “terrorists,” five students were detained by police in raids on homes and student dorms. A group of students protesting these detentions issued a call for a rally that read, “Detention of students who were not on campus during the incident is proof that the attack is being used as a pretext for a witch hunt by the government to suppress opposition in the university.” The rally was prevented by riot police who entered the university campus, reportedly for the first time in the history of Boğaziçi University, and forcefully detained seven more students. On 23 March, President Erdoğan called the anti-war students “terrorists” at an AKP party congress and promised to oust them from the university. He said that “the communist, traitor youth" tried to interfere with a student stand staffed by “religious, nationalist, local youth” and made the promise that he would not “give these communist, traitor, terrorist youth” the right to education at the university. Following President Erdoğan’s remarks, nine of the 15 detained students were arrested on charges of terrorist propaganda and six have been released on judicial control. 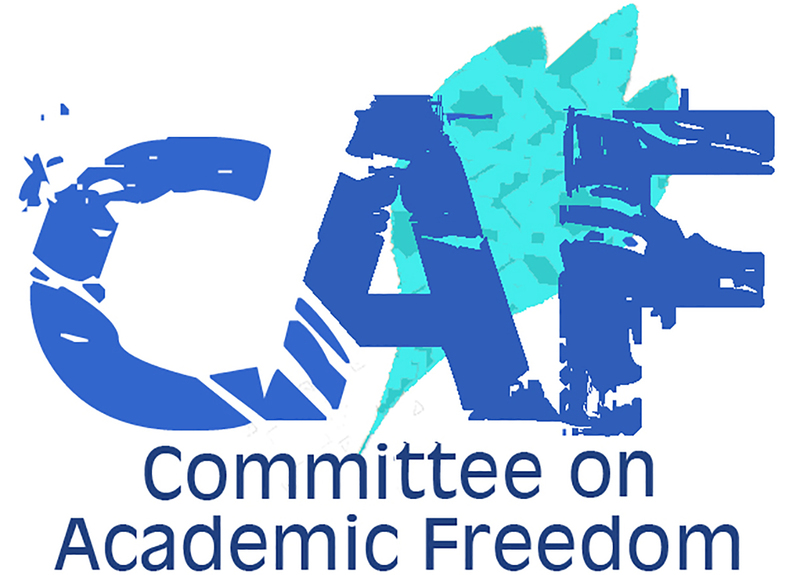 Our letters over the past two years have documented the blatant violations of academic freedom and the right to education under your government. Recently, Boğaziçi University has been singled out for denunciations by President Erdoğan. In November 2016, President Erdoğan used his executive powers to overrule Boğaziçi University’s internal elections. In the first such move after being given the authority to directly appoint rectors under an emergency decree, he appointed the current rector, Professor Mehmed Özkan, over the protests of Boğaziçi faculty and students. More recently, on 7 January 2018, Erdoğan stated that Boğaziçi University was failing and could not become a global brand because it did not uphold national values. The recent detentions of Boğaziçi students and President Erdoğan’s subsequent remarks that directly target their right to education on political grounds appear to be an extension of your government’s politically motivated campaign against Boğaziçi University. They are also emblematic of your government’s conflation of political dissent with terrorism. As a member state of the Council of Europe and a signatory of the European Convention for the Protection of Human Rights and Fundamental Freedoms, Turkey is required to protect freedom of thought, expression and assembly. Turkey is also a signatory to the Universal Declaration of Human Rights, the International Covenant on Civil and Political Rights, and the Final Act of the Conference on Security and Cooperation in Europe (OSCE), all of which protect the rights to freedom of expression and association, which are at the heart of academic freedom. Derogation from human rights instruments under the state of emergency must be narrowly tailored to the exigency at hand and cannot arbitrarily restrict academic freedom or justify the massive and arbitrary dismissal of thousands of academics across the country. Moreover, the rights being trampled in these actions are enshrined in articles 25-27 of the Turkish Constitution, in addition to the right to education enshrined in article 42. We urge your government to immediately secure the release of the nine arrested Boğaziçi University students and to desist from threatening the detained students’ right to complete their university educations. We further ask that your government work to release, at the earliest possible date, all other university students who have been detained over the last two years as a result of their peaceful political opposition to your government’s policies, including its policies towards the Kurdish communities within and outside of Turkey.